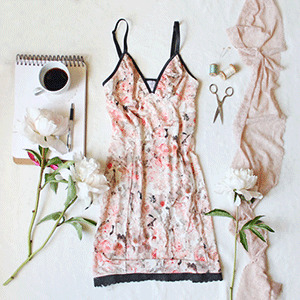 The Clementine Slip is perfect for under semi-sheer dresses or for summery sleepwear. Sewn in stretch knits, this fitted slip is so comfortable to wear. 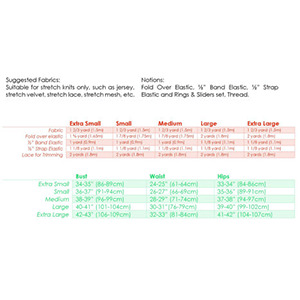 Suggested fabrics are stretch knits such as cotton lycra, cotton jersey, stretch velvet, stretch lace, and stretch mesh.